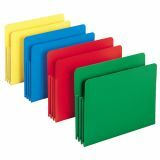 Smead® Erasable FasTab® Hanging Folders, Assorted Colors, 18 ct.
FasTab® hanging folders have built-in reinforced tabs - no assembly required! 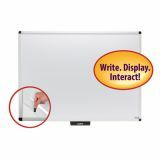 They are easy to label by either handwriting directly on the tab or applying self-adhesive labels. 1⁄3-cut tab, letter size. 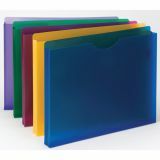 FasTab® hanging folders have built-in reinforced tabs - no assembly required! They are easy to label by either handwriting directly on the tab or applying self-adhesive labels. 1/3 cut. Moss color. 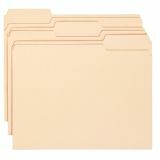 More durable than standard file folders, file folders with reinforced two-ply tabs provide extra strength where you need it most. 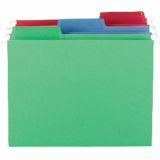 Use a rainbow of colors to categorize different types of folders or to complement your company colors or decor. 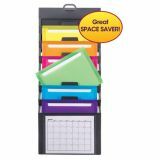 An office necessity available in a variety of tab cuts for every filing need. Built stronger to last longer! 2-ply reinforced tabs add strength where you need it most. 11 pt. stock, 1⁄3 cut tab. Letter size. 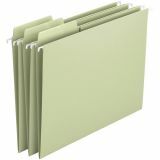 More durable than standard file folders, file folders with reinforced two-ply tabs provide extra strength where you need it most. 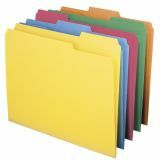 Use a rainbow of colors to categorize different types of folders or to complement your company colors or decor. 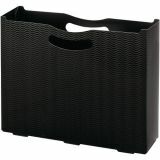 An office necessity available in a variety of tab cuts for every filing need. Built stronger to last longer! 90% larger labeling area allows larger text or more lines of description. 11 pt. stock, 1⁄3-cut tab. Letter size. 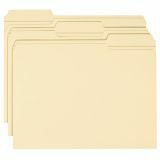 More durable than standard file folders, file folders with reinforced two-ply tabs provide extra strength where you need it most. 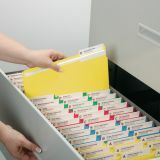 An office necessity available in a variety of tab cuts for every filing need. Built stronger to last longer! 2-ply reinforced tabs add strength where you need it most. 11 pt. stock, 1⁄3 cut tab. Letter size.